Richard Doyle, the son of the cartoonist, John Doyle, was born in London in 1824. Educated at home by his father he began having work published at the age of fifteen. The book, The Eglinton Tournament, was a great success. In 1840 Richard produced an illustrated journal of the events that took place that year. The journal includes outings to the opera, concerts, Regent's Park Zoo, the Royal Academy, the National Gallery and the Tower of London. 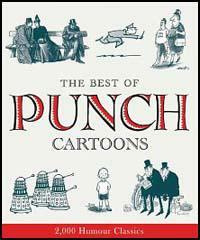 In 1842 John Doyle began working for Punch, a new magazine founded by Mark Lemon, Henry Mayhew and Douglas Jerrold. In December, 1843, Doyle illustrated Thomas Hood's powerful Song of the Shirt. By 1848 he was producing a third of the cartoons that appeared in Punch (only John Leech had more pictures published in the magazine). 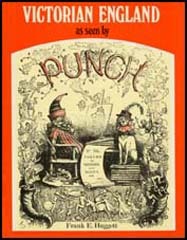 As well as producing political cartoons, Doyle designed the the famous Punch cover that was used by the magazine between 1849 to 1956. Doyle, like his father, was a devout Roman Catholic, and in 1850 he resigned from Punch in protest over the magazine's hostility to the Pope. One cartoon produced by John Tenniel showing Lord John Russell as David attacking Cardinal Wiseman, as the Roman Goliath, particularly upset Doyle. John Murray, the publisher of the Quarterly Magazine, later claimed that Wiseman, the leader of the Roman Catholic Church in England, had forced Doyle to resign under the threat of excommunication. After leaving Punch Doyle concentrated on painting landscapes. However, he did illustrate books including works by Charles Dickens (Battle of Life), John Ruskin (King of the Golden River) William Makepeace Thackeray (Rebecca and Rowena) and Leigh Hunt. Richard Doyle died in 1883.